Board 2nd Tuesday at 5 p.m. & Regular Meetng 2nd Thursday at 5:30 P.M..
We are located in Northern Minnesota in Bemidji, the First City on the Mississippi River! Our Mission. The First City Lions Club has been serving its community since its inception in 1999. The Lions are your friends and neighbors volunteering to help the visually impaired as well as reaching out to those Bemidji residents who are underprivileged or in need of our help. 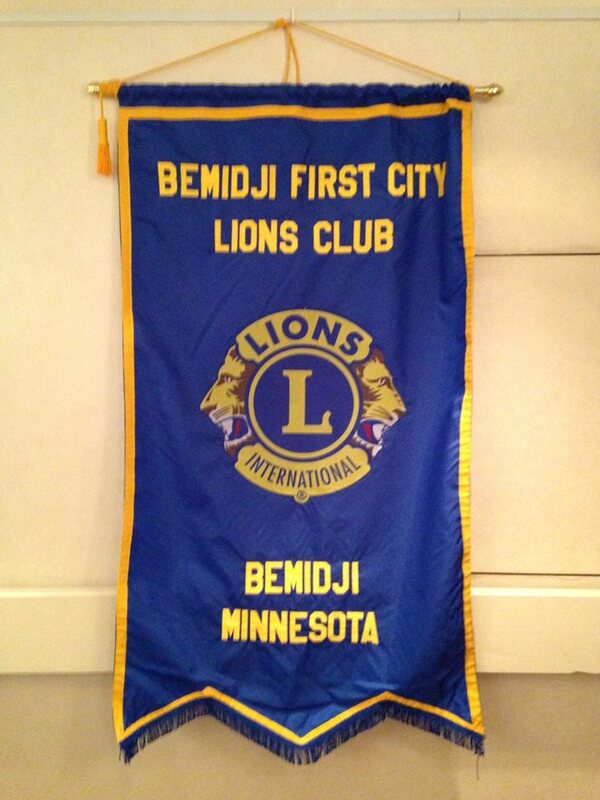 Who are the Bemidji First City Lions? We are like-minded community members who care about the city/world we live in. We have wonderful members and hope to add more this year. If you would like to learn more about the First City Lions Club or become a member, please contact Lion Kay Murphy at kay_m1957@outlook.com.